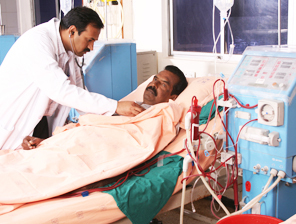 The Department of Nephrology performs one of the largest numbers of kidney transplants in this region with success rates comparable to the best in the world. 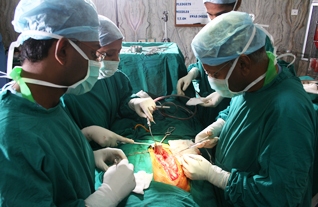 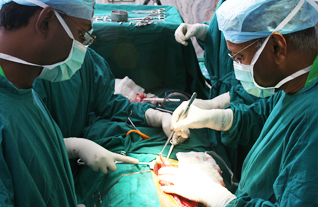 Dr. Vivek Pathak has pioneered the break through steroid free kidney transplantation technique which improves success rates and minimises post operative complications. 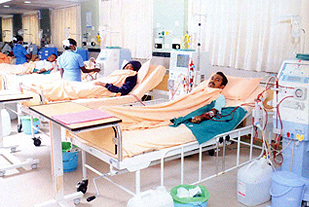 It has expertise and state of the art equipment to deliver world class care for all cases including medical emergencies. 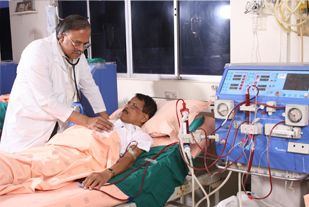 RO system here imported from Europe has hot water dis-infection facility and is one of its kind in the world.